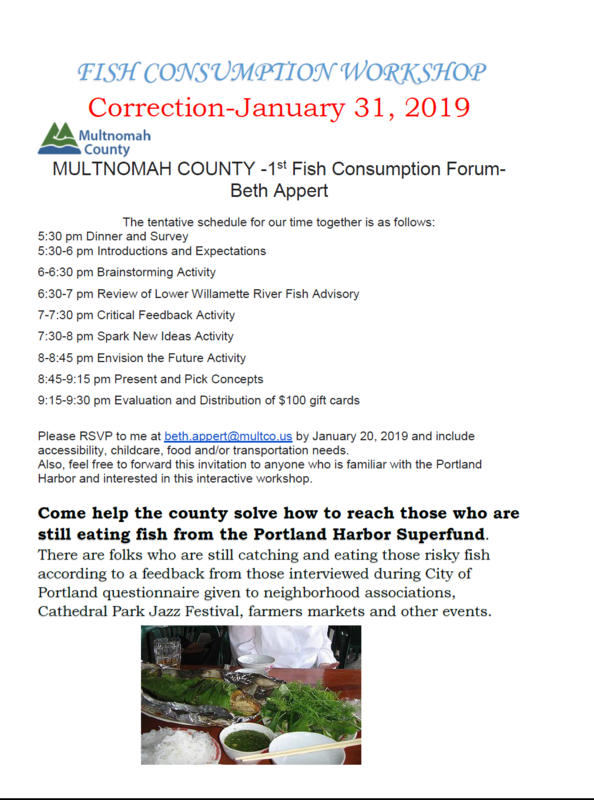 Beth Appert, Multnomah County Fish Advisory Coorinator, is holding a Fish Consumption Workshop to help individuals who fish catch fish in the lower Willamette River to know what is, and what is not, safe to consume. It is an evening discussion with dinner. ADDRESS: 847 NE 19th Ave Suite 350 Portland, OR 97232. It is in the County Office.